If you are familiar with the Gebhard Aders Wittgenstein feature covered earlier on this blog then you may have noticed a reference to the memoirs of NJG 100 Staffelkapitän and later Kommandeur August Fischer - entitled " Bis der Wind umsprang " published in 1961 by Engelbert Verlag of Balve. This is not a particularly rare book as Luftwaffe memoirs go - but remains almost entirely unexploited eg Claire Rose Knott in her 'Princes of Darkness' makes no mention of it although Fischer flew with Wittgenstein in NJG 100 and mentions him through out the text. I have read suggestions that it is a fictitious or 'novelised' account, as a number of well-known Luftwaffe memoirs indeed are. But there is in my view quite simply far too much detail in the flying accounts for it to have been written by anybody other than a seasoned aviator. Take for example the following extract from the book which I have translated here - the following is my translation of pages 108-110 of Fischer's book. In this extract Fischer relates an account of shooting down an ancient Polikarpov Po-2 (U-2) biplane flying a night harassment sortie over the front lines in the East. 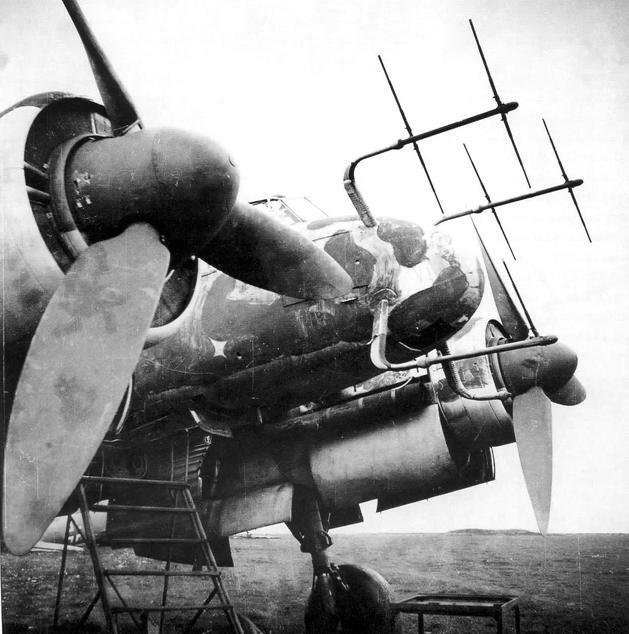 The modest performance of the Po-2, allied to their manoeuvrability and small size meant that they were difficult targets for the comparatively fast and much larger twin-engine Ju 88 night fighters. V/NJG-1, 12/NJG-5, 1/NJG-100, Kdr Stab I/NJG-100 (4/44 to end). Bf 110; Bf 109, Bf 110, Do 217, Ju 87 & Ju 88 in NJG-100. Awards : EP, EK 1 & 2, Night Fighter Operational Clasp. A brief synopsis : his first known victory, a Soviet Il-4 on the night of 12-13 May, 1944. An Il-2 on the night of 17-18 June, 1944. 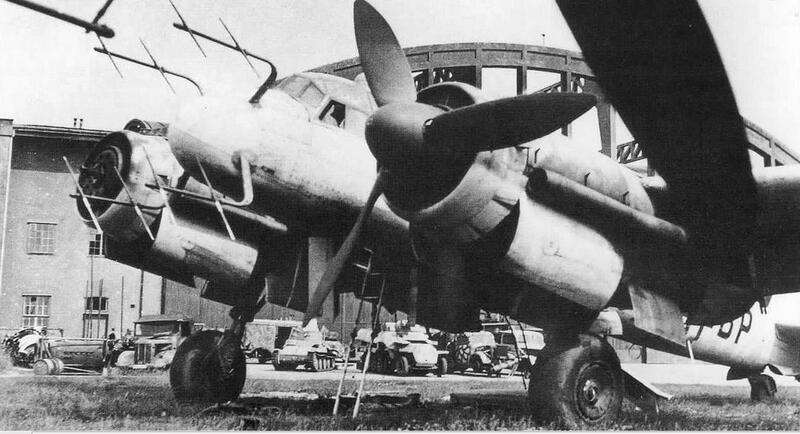 Another Il-4 on the night of 7-8 July, 1944. Three Il-4's shared with Fw Düding the night of 8-9 July, 1944. Another Il-4 shared with de Vries the night of 9-10 July, 1944. Two known western bomber victories - a Halifax over Upper Siliesia on 5 August 1944 and a Lancaster with I. Gruppe in April of 1945 in a Ju 88G-6. "Slow moving targets – descend to 3,000 m."
" You hear that Hauptmann, ‘crabs’ in the vicinity" ; said Rôhrs. Tautor made a gesture as the radar picked up a trace at that moment in the middle of the screen. I veered to port and started down in a slow spiral towards 3,000 metres. “Altitude, three zero.. . I was full of foreboding. During the many missions that I had flown I had not once managed to bring down a ‘crab’ - which is what we called the U-2 or R-5 biplanes. They were small targets, spotted fleetingly and then lost just as quickly, swallowed up by the darkness so that you had no time even to manoeuvre the aircraft to bring the nose-mounted armament to bear. And even if you could, you ran the risk of ramming the small Soviet machine before being able to open fire given that it would be likely travelling at less than 100 km/h - much much slower than our own kite. We had our slanting cannon of course, the so-called 'Schräge Musik', two 20 mm weapons mounted obliquely in the rear fuselage that we could unleash if we passed beneath the target. But I wasn’t optimistic - I had already experienced too many disappointments. I tried to erase these unpleasant thoughts from my mind. Below us, tracers zipped across the night sky like ghosts flitting from one location to another – the war did not know sleep. “ Heading one-one-zero towards the target “. We were giving chase. I throttled back and wound in 45° of flap. I felt the thrill of the chase and my heart was already beating faster.
" Altitude two, eight. " " Understood ". I cut the throttle as I turned into a downwards spiral. My machine “W7 + AL” dropped its nose and went down. At 2,750 m altitude I opened the throttles again – indicated air speed was almost 200 km/h. 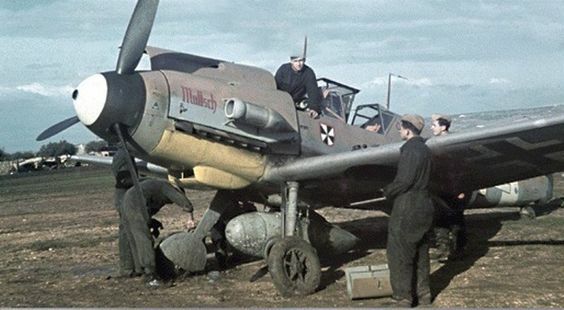 With flaps down, the Ju 88 was heavy on the controls and responded sluggishly to the rudder. I requested ‘distance from the target’. I glanced at my watch in order to work out my firing range. The 88 had started almost imperceptibly climbing again. Hein had his special glasses on and was staring hard into the darkness. ‘ Distance three’. It had taken us two minutes to cover 4 km, but we were still some 120 km/h faster than our prey. Now I let down the flaps to their maximum and throttled back the engines so that the aircraft, now tail-heavy, wallowed almost on the edge of the stall. "Target in sight Kapitän. You are coming in behind him ! It’s a U-2 ! Do you see it as well ?" "Straight ahead, about fifty feet above us". "Yes, okay, got it now". "Borneo, visual on enemy aircraft." " Understood, enemy aircraft sighted." I gently eased the Ju 88 to port and turned the dimmer switch, located on the ceiling of the canopy in order to avoid being blinded by the gun-sight. The silhouette of the U-2 danced in the graticule of the sight. Making careful adjustments I calculated the distance and opened fire. The two cannon deep in the fuselage emitted a low rumbling sound. Small flashes of light spat upwards and disappeared into the silhouette of the Russian aircraft. The U-2 dipped its port wing and plummeted vertically down, passing just a short distance in front of us. Flaps retracted, I stood 'W7+AL' on its wing and pulled into a turn to port. All three of us were staring down in the direction of the U-2 – but there was nothing there. Had we hit him – had the pilot -sitting in his open cockpit with no protection whatsoever- been killed? Had our explosive shells torn off a limb causing him to lose control of his aircraft? Had he dived away solely to escape our fire? Who could tell? There was no fire on the ground. Borneo asked us if we had mounted an attack.
" Affirmative. We attacked – no luck "
" Understood. Heading seven zero. Another one for you ".
. We turned onto seven zero. Several minutes later we mounted a similar attack. This time I opened fire sooner – I assumed that I had miscalculated the range the first time. On this occasion the Soviet pilot pulled his biplane into a tight turn to port, was quickly on a reciprocal heading to mine and in a flash had disappeared into the darkness.
" Another attack – nothing observed "
Tautor said in a knowledgeable tone : " Herr Hauptmann, your salvo was too long. " He had observed my burst and evidently knew what he was talking about.
" You’re wrong Hein, I think I saw the wing of that one catch alight " added Rôhrs. He had a better view, being seated facing backwards to the direction of travel and therefore able to observe what was happening behind us..
" Do you think, Christian? Surely we would have seen it." " Herr Haputmann, you can not expect a U-2 or R-5 to burn like a bigger type ".
" yes, that’s logical, Herr Hauptmann", replied Tautor as he belted himself back in to his seat. We arrived back over the airfield ten minutes later. A few days later the fighter controller at station Borneo called us : an officer at the front had witnessed a biplane plummet to the ground in flames in the no man’s land between the trenches. It had exploded on impact...."